Since September 2007: Weed Scientist at AfricaRice. Research on integrated weed management, parasitic weeds (e.g. Rhamphicarpa fistulosa, Striga hermonthica, S. asiatica), bird × weed interactions, effects of water saving production methods on productivity and weed competition, weed competitiveness of NERICA varieties, farmer participatory technology development and local innovations in weed control. 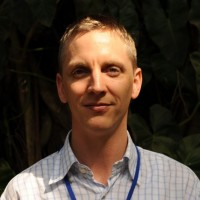 April 2006 – September 2007: Post-Doctoral Fellow Cropping Systems Agronomy at AfricaRice. September 2005 – April 2006: Associate Expert on Inland Valley Agronomy at AfricaRice. November 2000 – September 2004: PhD research on defense mechanisms in sorghum against the parasitic weed Striga hermonthica in Mali at Wageningen University and ICRISAT – Mali. September 1998 – September 1999: MSc research on effects of slash-and-burn on soil fertility and conservation in Indonesia at Wageningen University and ICRAF –South-East Asia. More than 20 publications in peer-reviewed (Science Citation Index) journals; More than 25 papers presented at international conferences. Krupnik, T.J., C. Shennan, W.H. Settle, M. Demont, A.B. Ndiaye and J. Rodenburg (2012). Improving irrigated rice production in the Senegal River Valley through experiential learning and innovation. Agricultural Systems 109(0): 101-112. Cissoko M, Boisnard A, Rodenburg J, Press MC, Scholes JD. 2011. New Rice for Africa (NERICA) cultivars exhibit different levels of post-attachment resistance against the parasitic weeds Striga hermonthica and Striga asiatica. New Phytologist, in press. Jamil M, Rodenburg J, Charnikhova T, Bouwmeester HJ. 2011. Pre-attachment Striga hermonthica resistance of NERICA cultivars based on low strigolactone production. New Phytologist, in press. Rodenburg J, Zossou N, Gbehounou G, Ahanchede A, Touré A., Kyalo G, Kiepe P, 2011. Rhamphicarpa fistulosa, a parasitic weed threatening rain-fed lowland rice production in sub-Saharan Africa – A case study from Benin. Crop Protection, in press. Rodenburg J, Bastiaans L, 2011. Host-plant defence against Striga: reconsidering the role of tolerance. Weed Research, in press; DOI: 10.1111/j.1365-3180.2011.00871.x. Rodenburg J, Meinke H, Johnson, DE, 2011. Challenges for weed management in African rice systems in a changing climate. Journal of Agricultural Science 149, 427–435. Rodenburg J, Riches CR, Kayeke JM, 2010. Addressing current and future problems of parasitic weeds in rice. Crop Protection, 29, 210-221. Rodenburg J, Saito K, Glele Kakaï R, Touré A, Mariko M, Kiepe P, 2009. Weed competitiveness of the lowland rice varieties of NERICA in the southern Guinea Savanna. Field Crops Research 114, 411-418. Rodenburg J, Johnson DE, 2009. Weed management in rice based cropping systems in Africa. Advances in Agronomy 103, 149-218. Demont M, Rodenburg J, Diagne M, Diallo, S, 2009. Ex ante impact assessment of herbicide resistant rice in the Sahel. Crop Protection 28, 728-736. Link to personal website/ page: http://www.africarice.org/biodata/Rodenburg.htm.